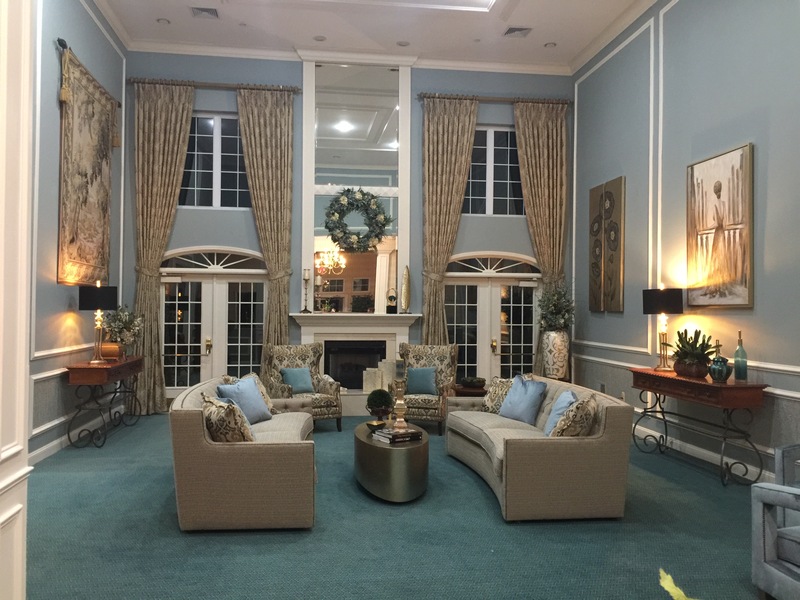 Sometimes it’s hard to please all the residents, but we hit a home run with this makeover. 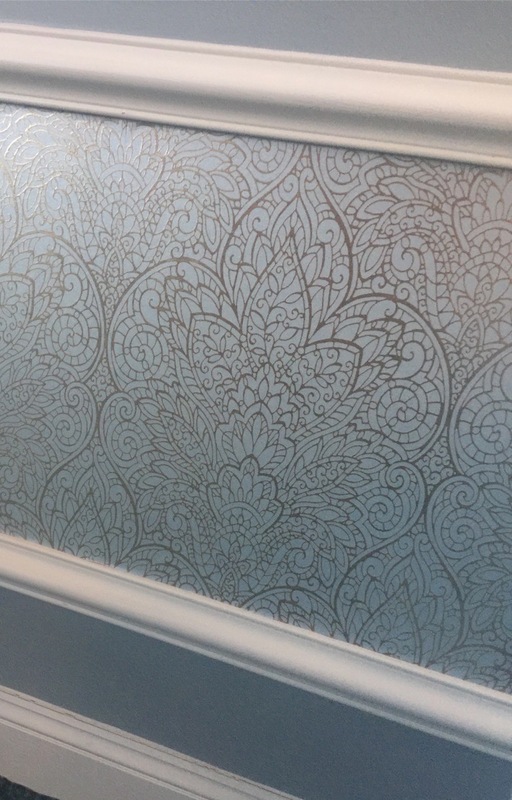 The special challenge in this room was finding a wallpaper that matched the existing wall color perfectly. This gorgeous paisley-damask patterned wallcovering applied to the dado of the walls adds a special dazzle of luxury and dimension to this inviting room. 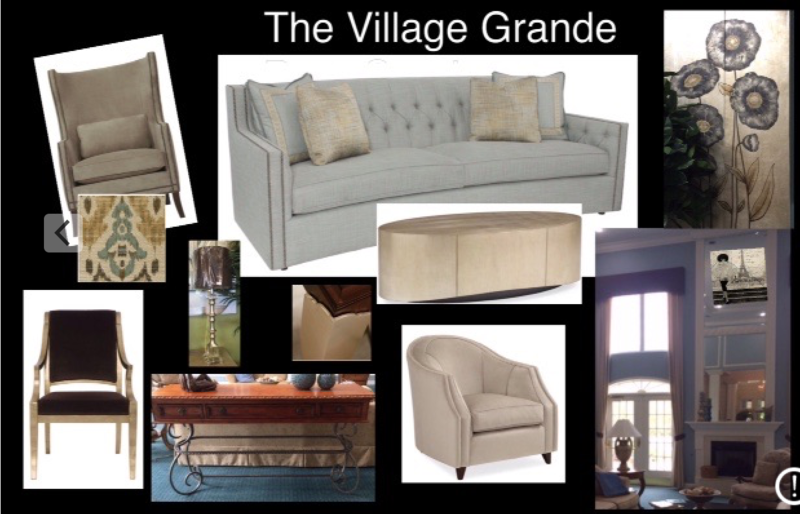 We started with a story board that would to express the vibe and colors we suggested to refresh the space. 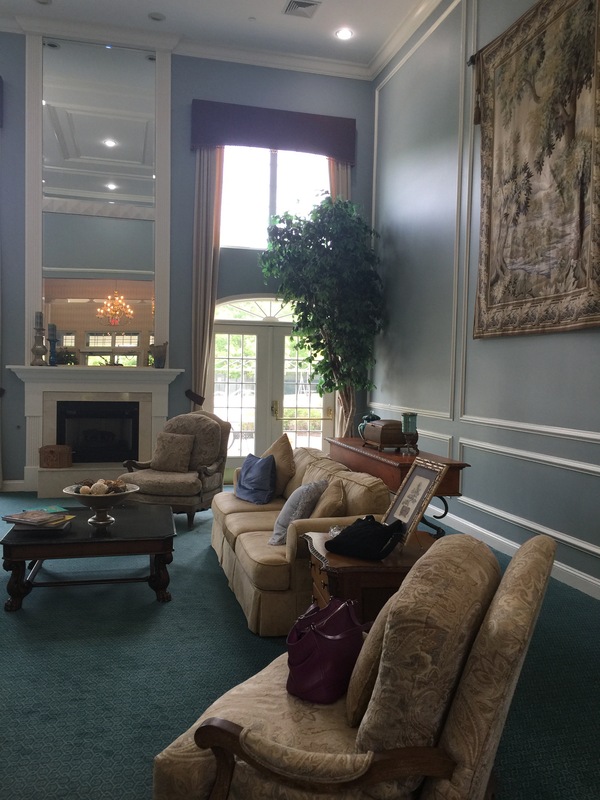 Softer, cleaner colors create soothing, comfortable environment where friends can gather to chat in small groups. The subtle formality of the room creates an ambiance that makes for a great place to meet up before heading out for social engagements with a group of friends or to just enjoy conversation with guests or friends. This is a commercial space in an adult community. Our clients wanted a more modern and up to date look for this common area, keeping some of the elements and pieces they already had in place. No changing of the walls or carpeting, and to reuse as much of the furniture as possible were their requirements. But the most important requirement was that it must be wheelchair accessible. As you can see the main concept was to keep an open flow to the space. Easy access around the coffee table and behind the sofas with no sharp edges. New sofas and chair refreshed the entire room. We arranged the seating in more of a circular arrangement to encourage conversation. By reducing the distance and angles between the seating, friends can hear each other better when having a more intimate conversation. Balance and harmony was created with use of color and fuller window treatments.